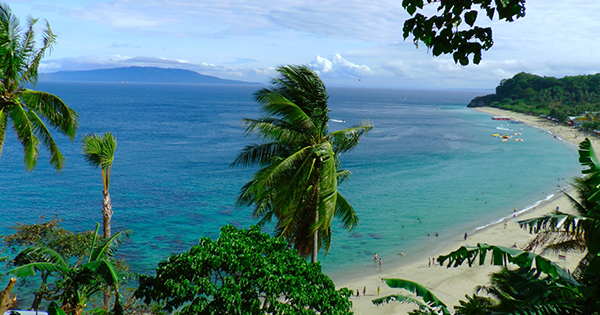 Located on the northeastern coast of Mindoro Island, Puerto Galera is very famous for White Beach, Sabang, numerous diving schools, nightlife, top of the line marine biodiversity, breathtaking sunsets, Filipino hospitality, great hotels, delectable food/drinks, etc. That is why both the locals and foreigners love to flock there, especially due to its proximity to Manila and thus, more fun for more savings! #1 - Scandi Divers (Big La Laguna Beach): You are loved at phenomenal Scandi Divers -- where you need to go this summer! Enjoy staying in their super comfortable rooms with private bathrooms, hot water showers, air conditioning, cable TV, minibar fridge, and a safety deposit box. Scandi Divers has got your back so make no more excuses and give in to your heart's desire for pleasure! You can expect great customer service, scrumptious dining, unparalleled scuba diving, other amazing adrenaline pumping activities -- in other words, a slice of paradise! #2 - Out of the Blue Resort (Small La Laguna Beach): Would you be one of the most satisfied customer/beach lover there could ever be? Waste no more time trying to convince yourself whether to go or not to go -- Go! Go! Go! Now to Out of the Blue Resort -- bask in your vacation moment thru tons of merriment with their yummy free breakfast, free personal laundry, free WiFi, split air conditioners in all bedrooms, large flat screen TV with DVD players, coffee/tea making facilities, soft beds, rejuvenating massages, diving, snorkeling, a trip to the waterfalls, trekking, sailing -- whatever blesses your soul, you can feel so whole, alive and have 10,000 reasons to smile! #3 - Montani Beach Resort (Sabang Beach): Grab that golden opportunity to relish a summer getaway in Montani Beach Resort which is an uber fun place to be at that doesn't break your budget. What makes this hotel and resort magnificent are their chic rooms with modern amenities; a bar at the poolside/beachfront where you can gaze at the breathtaking fiery sunset as you sip your favorite drink; an awesome restaurant that offers French/Swiss/Italian/Filipino meals; as well as get the chance to do exciting diving, snorkeling, sunset cruising in addition to day tripping. #4 - Big Apple Dive Resort (Sabang Beach): Your happiness and that of your loved ones is the main reason Big Apple Dive Resort exists, really! You can definitely pour out your praise for their affordable accommodation with comfy beds, hot & cold shower, minibar, refrigerator, etc. ; also, go scuba diving, eat out of this world barbecues, pizzas, steaks and other truly mouthwatering grub... So, folks, if you feel like your stuck in a rut and your days begin to become humdrum -- it's a great time to set off on a journey towards relaxation par excellence -- you should be doing Big Apple Dive Resort ASAP! #5 - Badlaz Dive Resort (Muelle Pier): This resort can be trusted to keep their promise to give you an awe-inspiring overall customer satisfaction! Their cheap but clean standard and deluxe rooms provide hot and cold showers, comfortable queen sized bed, air conditioning and fan, plus a led cable TV. Are you a first time diver? Then you can avail of their great diving courses which include Open Water Course, Advanced Open Water Course, Rescue Diver Course, etc. If not, you must have already experienced diving? Then enjoy their recreational diving packages that include Fun Dives, Group Dive Packages, Verde Island package, etc. #6 - Marco Vincent Dive Resort (White Beach): Are you a party lover/beach bum/sunset watcher/curious diver/etc.? If yes, then navigate towards Marco Vincent Dive Resort as soon as you can and let the fun begin! Join the Puerto Galera Party Cruise; have a laid back sunbathing moment with your buddies, spouse or family on Puerto Galera's white sandy beach; enlist for the Puerto Galera Sunset Cruise to see the captivating fiery sky before the dusk; take a diving course or a fun diving package to see Puerto Galera's colorful plus amazing marine life; also experience exciting snorkeling and swim with the pretty fishes in the sea; not to mention, indulge in the flavorful food and drinks in their beachfront restaurant. #7 - Campbell's Beach Resort (Big La Laguna Beach): This can be one of your best summer destinations that is sure to light up your life! You can choose any of their clean oceanfront rooms to suit your budget -- use their air conditioning, cable TV, safe deposit box, hot water showers, excellent beds, and private bathrooms during your delightful stay. Furthermore, get a kick out of their fascinating diving courses, and visit the more than 40 dive sites within easy reach from Campbell's Beach Resort. To top it off, view the astonishing thousands of sea creatures and various fish species waiting for you there to swim with them!